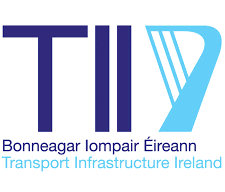 Transport Infrastructure Ireland (TII) primary function is to secure the provision of a safe and efficient network of National roads. For this purpose, it has overall responsibility for the planning, supervision of construction, road network management and maintenance on National roads. There have been a number of innovative developments in the TII’s management of the national network of pavements since the implementation of dTIMS. A number of subnetworks have been defined, with significantly different characteristics, and different levels of service brackets and intervention levels. In turn, this has led to the development of a new system of M&R scheme selection, based on a combined Percentage Above Threshold approach for two or more performance parameters that accords very well with scheme selection based on expert engineering judgement at the local level.